Andrew Jackson, one of the most critical and controversial figures in American history, is a president of great interest to the public. Thanks to a project at the University of Tennessee, Knoxville, his legacy is available through The Papers of Andrew Jackson, an ongoing series that gathers and publishes Jackson’s extant literary record. The ten-volume series, including the latest volume, 1832, is now available through UT’s online archive: http://trace.tennessee.edu/utk_jackson. The project, which began in 1971, is a collection of volumes that make a broad, foundational, and permanent contribution to historical knowledge and are an essential source for historians, biographers, archivists, librarians, genealogists, journalists, and screenwriters. They have been extensively cited and praised not only in scholarly works, but also in best-selling books, on television, radio, and websites. The University of Tennessee Press publishes each volume in book form, but the project has kept pace with technology. Newfound Press, an online imprint of the UT Libraries, makes searchable and downloadable PDF versions available online at http://trace.tennessee.edu/utk_jackson. Andrew Jackson’s evidentiary record can be accessed and digitally searched by anyone, anywhere, for free. 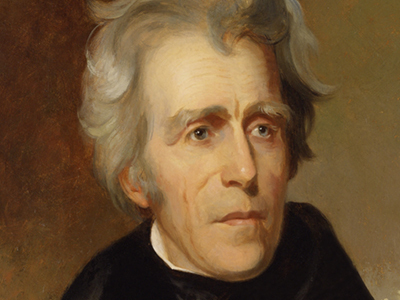 The Jackson papers are also available as The Papers of Andrew Jackson Digital Edition, part of the American Founding Era Collection hosted by the University of Virginia Press’s Rotunda digital imprint. The platform allows users to search the full edition, to limit searches to individual volumes, or to search across all the editions in the Collection, including the papers of George Washington, Thomas Jefferson, James Madison, and other major figures of the nation’s early history. The digital edition also includes direct links from more than 1,400 transcribed and cited documents in the edition to images of the original manuscripts in the Library of Congress. The Papers of Andrew Jackson project is supported by the UT College of Arts and Sciences, the National Historical Publications and Records Commission (NHPRC), the National Endowment for the Humanities, and the Tennessee Historical Commission (THC). The NHPRC and THC recently renewed their annual grants to help fund the publication of the next volume, which will be available in 2019.